Daily Musings: Why do bad Things Happen to Good People? I am not claiming to be the spiritual or philosophical genius of all time. Also, I am not saying that I have the only answer to the most pondered question in history. So, why am I even exploring this loaded query that, frankly, everyone asks, at some point? What gives me the right? No, I do not have a huge ego. I’m just one of many individuals saddened by the increasing number of people who refuse to believe in a god who allows tragedy in their lives and in the world. So, I want to share some of my thoughts, as well as the thoughts of prominent individuals. My credentials: a lifetime of first-hand experience and research on the subject of man’s inhumanity to man. Why is life unfair? If there is a higher power, why does he let us suffer? Why doesn’t he intervene? 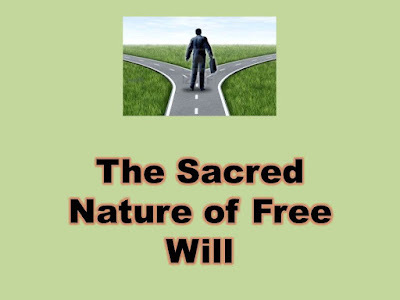 To my way of thinking, one of the main answers to this all-important query can be summed up in two words: free will. In brief, humans are given the sacred right to choose, and we don’t always make the best choices. References to free will begin early in the scriptures. It starts in Genesis, chapter two, when Adam and Eve make the choice to eat from the tree of knowledge of good and evil--against God’s express command. They were not stopped from eating. They just had to suffer the consequences of their choice. I don’t believe in a divine puppet master. I believe in a divine being who has to allow us to create our own blunders and successes, just as we must let our children make their own decisions--when appropriate. We are given the inalienable right to choose every thought and action. I don’t think that’s been negotiable since the world began. Sometimes, we make wise decisions, and sometimes we don’t. I cannot end this article without pointing out an important fact: While we have the right to decide our actions, we are not able to choose the consequences of those actions. We reap what we sow; that’s a law of the universe. Please see more about people exercising their right to choose in my book, Accept No Trash Talk: Overcoming the Odds. Do you hold free will sacred?